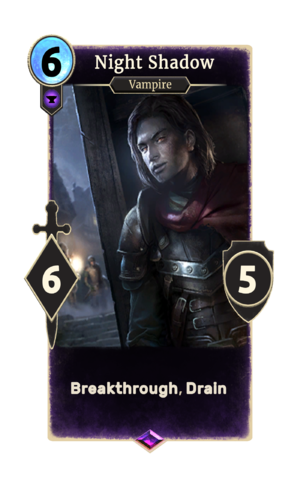 Night Shadow is an epic Endurance creature card. It is part of the Core Set. "I am a child of darkness." This page was last modified on 14 February 2019, at 11:21.